Bachelors/ Master Law degree from a reputed Indian Institute. 7+ Years post qualification experience. 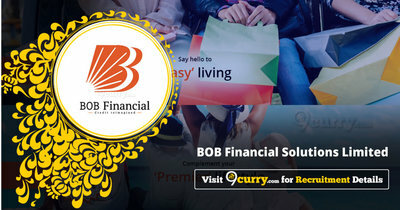 Eligible candidates may Email to careers@bobfinancial.com with the subject as “AVP/ Manager - Legal” on or before 24 April 2019, along with the relevant documents.